Holiday Inn Express Dublin City Centre is situated in Dublin on O’Connell Street, 800 metres from Temple Bar, with free WiFi and breakfast included. This is a great location. 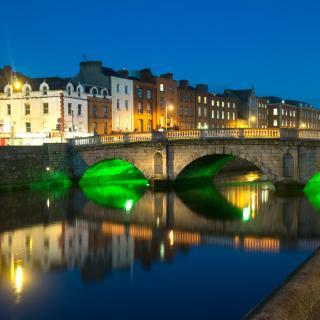 Shopping, bars, restaurants, Temple Bar area, historic sites are all within walking distance. The Hop On Hop Off bus is just a block away. Be sure to go next door to Murray's Bar and Grill, fantastic entertainment with Irish dancers later in the evening. Can't be any closer to get back to the hotel! The hotel staff are very friendly and helpful. The breakfast is very good with great selections. Opposite Croke Park Stadium, this luxury 4-star hotel boasts spacious rooms with 50-inch Smart TVs. Guests can enjoy hot towels on arrival, free parking, and a European bistro. Everything was perfect. Starting from the reception desk officers and other employees. Hotel is well situated n located. Had some drinks and dinner at the bar, food was nice and service excellent. Would recommend this hotel. Overlooking the River Liffey, The Ashling Hotel is beside Heuston Station in Dublin. This 4-star hotel has beautifully decorated interiors, spacious rooms with free Wi-Fi, and a stylish bar. Everything, the staff were the friendliest I've experienced yet and I've been to hotels all over Ireland 5* included and at the same time professional, efficient and fast. I had sent a special request to check in early and I was very lucky to be able to be accommodated in our huge triple room. Car park an absolute bonus and great value and the Luas just outside hotel takes you straight into city centre. Set in an 11th-century castle the Clontarf Hotel combines ancient architecture with 21st-century facilities. The reception was very friendly and helpful. The huge bed was very very comfy. The whole atmosphere made me feel like a queen! Fully refurbished in February 2013, The Morrison Hotel boasts a boutique interior, a musical theme, a new bar restaurant, and easy access to Dublin city centre. Perfect location. Friendly and very professional staff. Iveagh Garden Hotel is a 4-star sustainable eco-friendly hotel located in Dublin city centre. It is a 4-minute walk from St. Stephen's Green and Grafton street. It was so good that we booked an extra night!! Definitely recommend ! Located in Dublin, the chic Temple Bar Inn offers free WiFi access throughout and a 24-hour front desk. The popular O'Connell Street and Trinity College are both a 3-minute walk away. The great breakfast, very friendly and helpful staff, clean rooms. Just 10-15 minutes’ walk from Trinity College, Maldron Hotel Pearse Street features bright rooms with en suite bathrooms. The Bord Gáis Energy Theatre is just a 5-minute walk away. Very convenient to the convention centre. With panoramic views across Dublin Port, The Gibson Hotel is next to the 3Arena. It boasts bedrooms with en-suite bathrooms, a 24-hour gym, a fine restaurant, and secure private parking. Excellent location, great size rooms, comfortable. Camden Court Hotel is just 500 metres from Dublin’s St Stephen’s Green. It boasts a leisure centre with a pool and hot tub, sauna and steam room. . Great location, very central. Great breakfast. Safe parking. 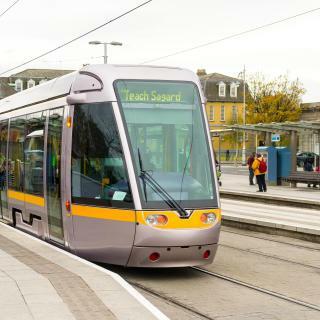 The Maldron Smithfield Hotel is just 3 LUAS tram stops away from O’Connell Street. It offers sleek, modern rooms with panoramic city views, and WiFi throughout the property. friendly staff, comfortable beds, central location. Breakfast great. In a quiet position just off Grafton Street and St Stephen's Green, this small 3-star hotel can offer a peaceful night’s sleep close to Dublin’s vibrant city centre as well as free WiFi with unlimited... Great location! Clean, quiet and comfortable. The perfect base to explore the city. Located on Dublin’s Parnell Street, this Jurys Inn is just around the corner from O’Connell Street. Jurys offers en suite bedrooms, a restaurant and an Il Barista Coffee Bar. Size and faciities of the room and the view o the street. Dublin Skylon Hotel is just 10 minutes’ drive from Dublin Airport. Dublin’s centre is a 5-minute drive, and Croke Park Stadium is 5 minutes' walk. Very Nice hotel, 20 minutes away by bus to the city center. Brooks is a 4-star designer boutique hotel in Dublin city centre, 5 minutes' walk from Grafton Street, St Stephen’s Green and Trinity College. The beautiful rooms feature en suite bathrooms. The hotel is an utter joy. We would return in a heartbeat. Located in the centre of Dublin’s cultural quarter, the award-winning Drury Court Hotel is ideally situated just 200 metres from Grafton Street and is surrounded by Dublin’s best eateries, theatres,... Bed very comfortable, enjoyed breakfast in the spacious dining room, staff polite and attentive. Italian marble bathrooms, a restaurant with 2 Michelin stars, and an infinity pool are offered at this award-winning 5-star hotel. The whole experience was wonderful, beautiful hotel and friendly staff. Overlooking the picturesque St Stephen’s Green, this Georgian hotel offers rooms with garden or park views in the very centre of Dublin. Wonderful location, very nice stuff, excellent food. Nothing to complain about! The grand 19th-century Wynn’s Hotel is located 5 minutes’ walk from Trinity College, Temple Bar and Henry Street. It offers an elegant restaurant, rooms with free Wi-Fi. This was our second stay at Wynn's. Really nice to see the same friendly and helpful staff. 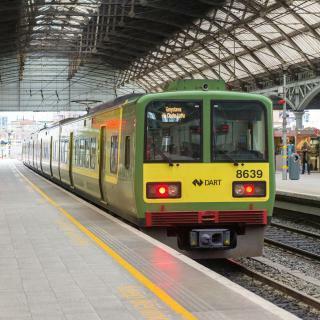 Travellers who stayed in Dublin near Dublin Airport (DUB) have said good things about Maldron Hotel Dublin Airport, Radisson BLU Hotel Dublin Airport and Carlton Hotel Dublin Airport. Many families visiting Dublin loved staying at The Merrion Hotel, The Devlin and Gleesons Townhouse Booterstown. What hotels in Dublin are good for couples? These hotels in Dublin are highly rated by couples: The Merrion Hotel, Gleesons Townhouse Booterstown and The Devlin. What is the best neighbourhood to stay in Dublin? 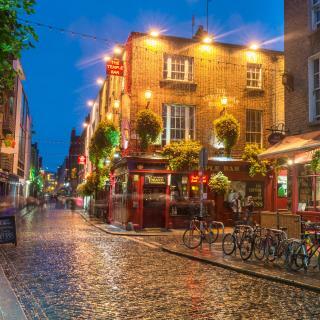 Ballsbridge, Rathmines and Temple Bar are popular with other travellers visiting Dublin. What hotels in Dublin have nice views? The Marker Hotel, The Devlin and Clayton Hotel Charlemont have received great reviews from travellers in Dublin regarding the views from their hotel rooms. The average price per night for a 3-star hotel in Dublin this weekend is CNY 2,087 or, for a 4-star hotel, CNY 2,526. Looking for something even fancier? 5-star hotels in Dublin for this weekend cost on average around CNY 4,015 per night (based on Booking.com prices). 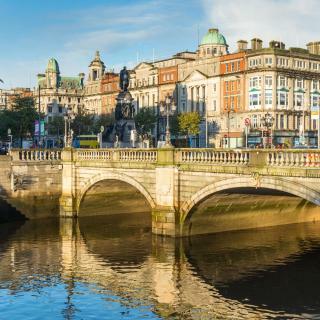 What are the best hotels to stay in Dublin? The Marker Hotel, Roxford Lodge Hotel and The Shelbourne Dublin, A Renaissance Hotel are some of the popular hotels in Dublin. On average, 3-star hotels in Dublin cost CNY 828 per night, and 4-star hotels in Dublin are CNY 1,060 per night. If you're looking for something really special, a 5-star hotel in Dublin can on average be found for CNY 2,148 per night (based on Booking.com prices). What hotels in Dublin offer an especially good breakfast? 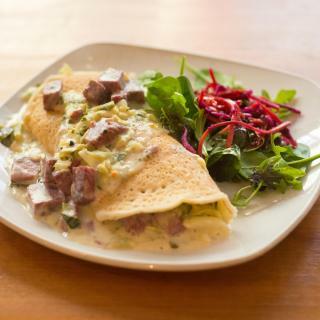 For hotels in Dublin that serve up a highly-rated breakfast, try Gleesons Townhouse Booterstown, Hotel 7 and Wynn's Hotel. On average, it costs CNY 878 per night to book a 3-star hotel in Dublin for tonight. You'll pay on average around CNY 1,100 if you choose to stay in a 4-star hotel tonight, while a 5-star hotel in Dublin will cost around CNY 1,687 (based on Booking.com prices). 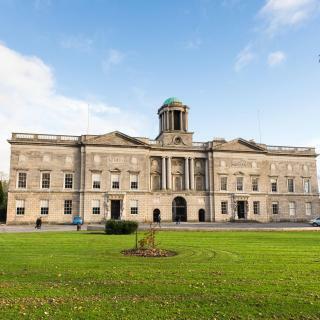 Dublin Castle is at the heart of the city's history and Trinity College holds the renowned Book of Kells, a beautifully illustrated manuscript from circa 800 AD. The Ha’penny Bridge is the city’s most photographed landmark and the statue of Molly Malone celebrates the heroine of Dublin’s unofficial anthem. 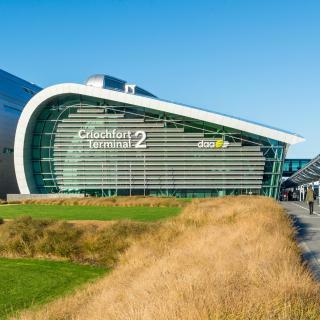 The Dublin Airport is the gateway to your Irish holiday, so whether you’re looking for a stylish hotel, a self-catering apartment or a trendy hostel, Booking.com has a perfect deal for your Dublin trip. The Hotel was very central for everything and has an olde world charm making it different from all the other modern hotels with identical room pods! It was the run up to Christmas so there was loads of atmosphere. Buskers, choirs and street acts. Good restaurants and pubs. Plenty of shops to browse in. Lots of theatres and museums to visit if desired. We were there on business and leisure and are very familiar with Dublin. Friday we chilled! Had room service in our amazing hotel- The Morgan ( situated right in the heart of temple but you could have heard a pin drop in our room which was amazing!!) Saturday we went to Dalkey on the train (the Beverly Hills of Dublin) which was cute and quaint - Bono and Enya live there!! Enya in a castle!! We had lunch in the Magpie which was beyond delicious!! And we got the DART back and went back to our hotel for a nap! We then went to the late night makeup bar in Temple Bar which was amazing!! I had dramatic makeup and my hair in heated rollers and curled! The girls were lovely and our makeup & hair ( dry styling only) looked wicked!! We then went the The Quays bar which we love but it was too full!! It's very popular!! We usually go there on a Friday but we were too tired!! We ended up being overdressed for The Quays bar on Saturday anyway!! So we went back to our hotel club/bar!! Which was good!! Sunday we had Brunch at Sophie's on the 5th floor of The Dean Hotel which was unbelievable 360 views of Dublin!! Nice food and a great experience!! We then went to Grafton street and went to Brown Thomas and the little makeup stores around the area! Which was great! We then went back and had tapas in our hotel and then we flew home! Great weekend!! Like most of Ireland the Dubliners are very friendly. Like most of Ireland the Dubliners are very friendly. (love their accent). They were helpful and we noticed a lot of smiles. There were lots of people about, Uni had begun it's year and there were young ones everywhere. Our visit was let down by a substandard hotel. However, we had tried for hours on the internet a few weeks before we left NZ to find accommodation and this looked the best find. Some good photography made the room look spacious when it was in fact very small. We were amused at the description of the refurbishing of the hotel and discovered it was very much exaggerated. We found a friendly Irish pub and enjoyed a meal and a Guinness (my partner's first). Second time I have been to Dublin I would go again. However, I would like to know what happened to the 'Floosie in the Jacuzzi" She was enjoying her Jacuzzi in 1997 when I was last in Ireland I hope they have put her somewhere a little more private perhaps. Go to Dublin if you ever have the chance, it's an education. You must stay in Temple Bar area, thats where everything is happening, so many places to eat and drink. If you are looking for somewhere quiet don't go to this area. The hotel rooms have Ear plugs in them (gives you an idea of the area), still manage to sleep quite well though. Go to Gogarty's pub and Temple Bar Pub. They are the best.